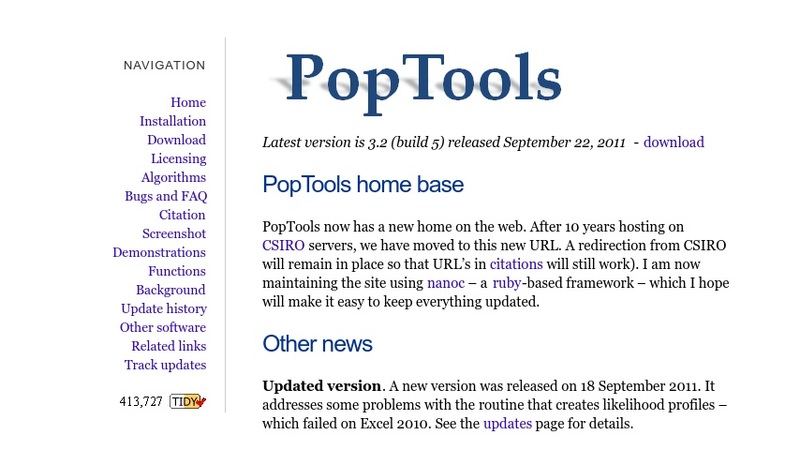 PopTools is a versatile add-in for PC versions of Microsoft Excel (97, 2000 or XP) that facilitates analysis of matrix population models and simulation of stochastic processes. It was originally written to analyse ecological models, but has much broader application. It has been used for studies of population dynamics, financial modelling, calculation of bootstrap and resampling statistics, and can be used for preparing spreadsheet templates for teaching statistics.